With life expectancy dramatically higher than ever before, and healthy lifestyles enabling people to remain active for longer, more and more seniors are taking up exercise regimes and sports. Of course, if you are beginning to live an active lifestyle at an older age, it is important to seek medical advice from a professional when starting out, but increasing your activity is usually a great thing for your general health. When you’re developing a plan to get fitter, you should take into account the impact your regime is likely to have on your feet. Your feet may be bearing the brunt of your exercise programme, and your continued success relies on them continuing to support you, so it’s worth some careful consideration about how you can best protect them and keep them healthy. 1. Warm up. You need to pay careful attention to your muscles and warm up and cool down properly in order to avoid injuries or foot conditions that can develop as a result of strained muscles and ligaments. Conditions such as Plantar Fasciitis can often be caused by a failure to warm up correctly, and this can be extremely painful and debilitating. Taking professional advice on the key muscles to concentrate on could help you to avoid making painful mistakes that may hinder your new training plan. 2. Start slow. Going from inactivity to a tough running regime is not recommended since you will almost certainly put too much pressure on your body – and on your feet – and end up suffering for it. Start out gently and build up gradually, allowing your stamina and strength to adjust, and you will soon find yourself feeling fitter. 3. Wear good shoes. Good shoes are an important way to protect your feet from injuries or foot pain, and this is critical when you’re exercising or training. Visit a specialist store such as Foot Solutions to take a free gait analysis test and find training shoes that will suit your feet and provide all the support and cushioning you need. 4. Don’t take risks. Some sports are simply too intensive for your muscles and ligaments to cope with if you are unused to using them in this way. Tennis is especially hard on your feet, since it involves a great deal of stress on your ankles and feet, and golf can be surprisingly likely to result in stress injuries, such as Achilles tendonitis, or ligament sprains. 5. Seek medical help. 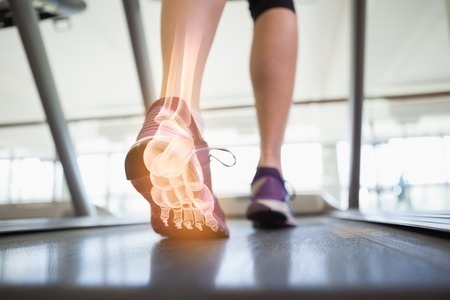 If you experience any foot pain or injuries while you are exercising, you should seek medical advice as soon as possible to ensure that you follow the correct treatment plan for your condition. Some foot conditions require you to rest in order to recover, while others require a programme of specific exercises, so it is vital to establish the best course of action for you. A visit to Foot Solutions can be the best way to start a new fitness regime, whatever your age. Starting out right is easier if you’re wearing the right shoes and giving your feet the protection and support they need. Pop into your local branch and talk to our friendly and helpful staff today!